The Riddle House, which overlooks the village of Little Hangleton, has been the sight of many notable events. Fifty years ago, the Riddle family were all murdered, yet when police came to investigate they found something very strange. The Riddle families bodies were perfectly intact, no wounds or injuries. How were they killed then? By their grandson, Tom Riddle, Lord Voldemort. Police and Muggles believed it to be the work Frank Bryce, the Gardener, so that he could inherit the house for all his hard work and loyalty to the family. Only one person knew the real truth, and that was Frank Bryce, he overheard Peter Pettigrew and Voldemort talking about it. He was later killed. Tom Marvolo Riddle was born in 1927 to a Muggle and a witch. When Tom’s mother was pregnant she revealed to her husband that she was a witch and Tom Riddle Sr. left her. Tom Riddle Sr. moved back into The Riddle House with his parents. Tom was a wizard, and a very powerful wizard at that. He attended Hogwarts and was sorted into Slytherin. He excelled at the Dark Arts and was starting to turn to the evil side. When Tom Riddle left Hogwarts he became Lord Voldemort. Tom Marvolo Riddle’s grandparents were murdered by Tom fifty years ago, along with his father. 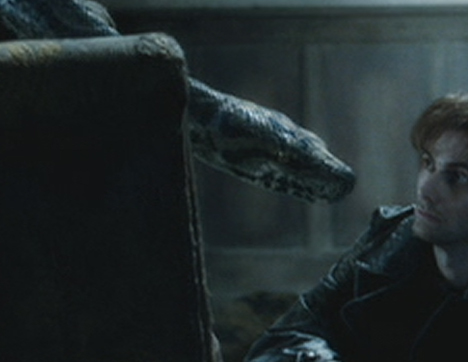 His mother, Merope Gaunt, died when giving birth to Tom. In book four, the Riddle House is described as damp and derelict with, “some of its windows boarded, tiles missing from its roof, and ivy spreading unchecked over its face. Once a fine-looking manor, and easily the largest and grandest building for miles around, the Riddle House was now damp, derelict, and unoccupied”.